Fargo ID printer DTC1250e is the ideal card printing solution for any organization, from schools to government to small businesses. 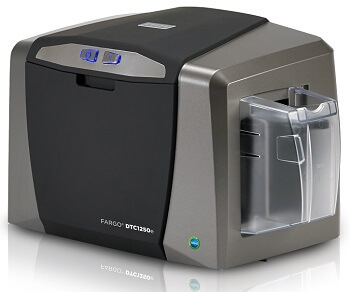 Fargo DTC1250e id card printer and encoder is the fastest card printer in it’s class, enabling your business to produce high quality, full-colour and edge-to-edge card 50% faster. This Fargo printer is designed to fit any office space and office environments. Simple, reliable and affordable photo ID card personalization, delivering a new level of durable, great-looking credentials. Create ID cards right out of the box with plug-and-play Swift ID™ embedded badging application. 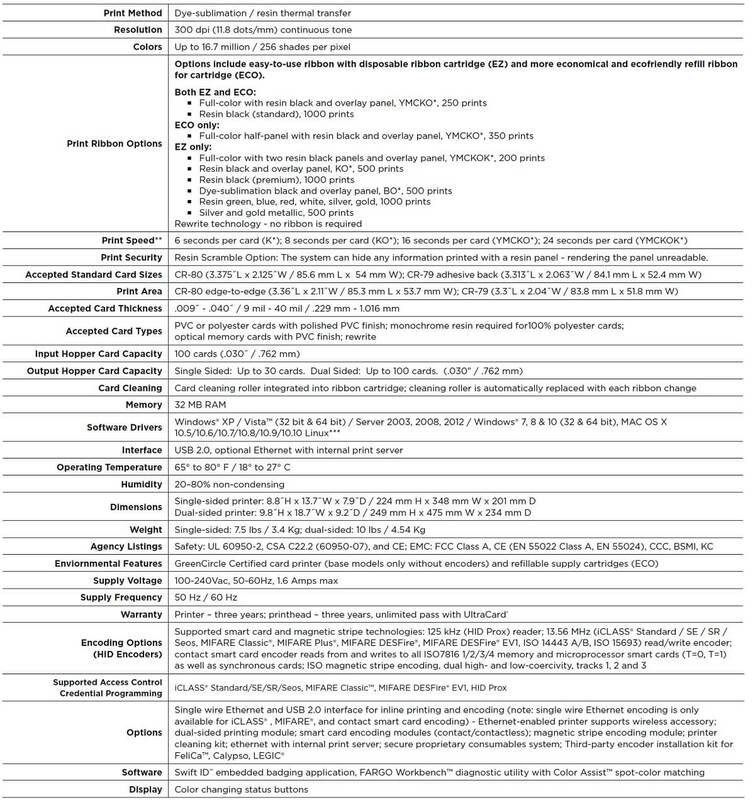 A Wi-Fi accessory for Ethernet enabled printers, allowing you to print anywhere, anytime.